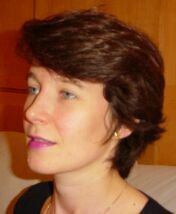 Alice Mesnard is an Associate Professor (Reader) in the Department of Economics at City University London. She specializes in development economics, policy evaluation and applied microeconomics with a particular focus on issues of migration. In 1999 she received her PhD in Economics from the Ecole des Hautes Etudes en Sciences Sociales, Paris. Previously she has worked as an Assistant then Visiting Professor at the Toulouse School of Economics and a Senior Economist at the Institute for Fiscal Studies. Alice Mesnard joined CReAM as an external fellow in June 2013.